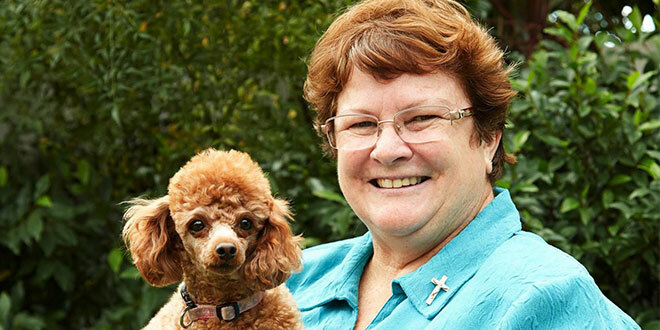 Sr Christine Henry: “It is very depressing and stressful for those involved.” Photo: Supplied. BUSH Sister of Charity Christine Henry believes prolonged drought is one reason outback Queensland has been identified as easily Australia’s worst youth unemployment hotspot. A report by the anti-poverty group The Brotherhood of St Laurence has analysed Australian Bureau of Statistics data to find youth unemployment at its extreme – 67.1 per cent – in a thinly populated but vast outback region stretching from Cape York and Weipa to Mount Isa and Longreach. “It is very depressing and stressful for those involved,” Sr Henry said. As the co-ordinator of the Downs and West Community Support, she has been fundraising and offering pastoral care for drought-stricken outback families for more than a decade. Even though many parts of the outback have received heavy rains in recent weeks, she said much of the vast outback was still experiencing a “green” drought. “Farmers haven’t been able to keep on their contract people,” she said. “And so people who have tried to get work on the land as contractors haven’t been able to find any (work) out there. “They have to make a decision whether they are going to move from where they live to find work – which means they might only be home on weekends once a fortnight. “Not having a job also means they cut down on their social interaction with people. The Brotherhood of St Laurence’s executive director Conny Lenneberg said her organisation’s report exposed how location was shaping opportunities for young Australians. “In our prosperous country it’s very worrying when we have more than a quarter of a million young people in the labour force who are unemployed,” she said. “Youth unemployment hotspots in outer suburbs and rural areas are carrying the heaviest burden. The modern economy is creating new risks for Australia’s emerging generation. “Disadvantaged young people in particular are facing barriers in their effort to secure work. “To meet this challenge, we need action from governments as well tapping into efforts of employers in local communities. The Brotherhood report titled, An unfair Australia? Mapping youth unemployment hotspots, identifies the 20 hotspots that have the highest youth unemployment rates in Australia from ABS data. “The story of youth employment in our prosperous country has become a tale of two Australias,” the report warned. While Outback Queensland tops the list, the Wide Bay region of Queensland, including Bundaberg, Hervey Bay and Maryborough is third, with a youth unemployment rate of 27.7 per cent. Townsville, including Ayr, Charters Towers and Ingham, is 10th on the list with an 18.1 per cent youth unemployment rate.